The Great Babble Netflix Update - Catch the best Babble Voices on Netflix! The sun’s trying to put his hat on but it’s still a bit too cold to be gallivanting about outside. Why not stay indoors for a bit longer and catch up with the best of Babble voices on Netflix? 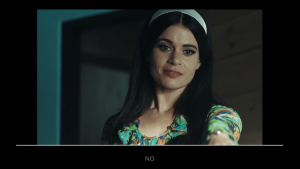 Sneaking onto Netflix at the end of last year, Bandersnatch blew the critics away: the first interactive TV show allowing the view to ‘choose their own adventure’. Fleur plays game-developer Stefan’s mum in an episode that has changed the face of how we watch TV. If you don’t already know Fleur’s voice, then you’re really missing out. Warm, inviting RP but with a hint of her native Yorkshire ready to come out when needed, her voice credits include Jaguar/Land Rover; Passenger; Global Radio and Mars Healthcare. Other screen work includes The Night Manager, Emmerdale and an award-winning performance in short film I Am Henry. 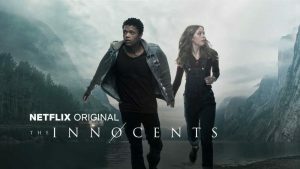 Teenagers Harry and June are in love with each other and decide to run away from their repressive families so they can be together. But their journey is derailed by an extraordinary discovery — June has the ability to shape-shift. As the star-crossed lovers struggle to control her new power, they reach a breaking point as they face a choice — keep their innocent dream alive or embrace that their lives have changed and risk everything. One of the Evening Standard’s Rising Stars of 2018, Percelle’s other recent work includes Doctor Who, web series Shiro’s Story, and feature film Dawn in the Dark. Set in a world resembling that of late 20th century Scandinavia, with people and fantastical creatures, Hilda is a little blue-haired girl, who has spent her entire life in the wilderness, with her mum Johanna, and pet deerfox, Twig. They move to the local city of Trolberg, along with a small elf, Alfur, who Hilda befriended back in the wilderness. 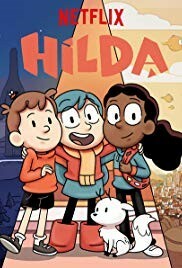 Despite Hilda being skeptical about her new life in the city, she soon makes two new friends, and discovers that there might be more to Trolberg than she originally thought. Kaisa provides various voices along the way! When Scandi-licious Kaisa isn’t voicing pink-haired, goth librarian ghosts, she’s most likely to be found lighting up a stage somewhere. Recent work includes the title roles in Sweet Charity (Manchester Royal Exchange) and Vera (Charing Cross Theatre), and the sell-out smash Fun Home at the Young Vic. 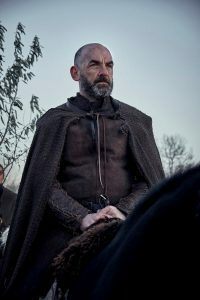 You couldn’t have two more different shows to be honest: on the one hand, a romp through Viking history, and on the other, and on the other, a gritty look at life in the North, as seen through the eyes of Father Michael, a modern, but maverick, Catholic priest. Ian plays bloodthirsty Offa in one, and crooked copper Joe in the other. We’ll leave you to work out which is which. If you haven’t worked with Ian, then you’re really missing out – you name it, he can voice it. From providing all the voices on irreverent podcast The Adventures of Brian Hovis, to regular promos for Talksport and the History Channel, with commercial campaigns for Toyota, Nytol and Panini along the way, he also provided several voices in animated feature Moomins on the Riviera and has a number of game titles under his belt. We love voices and we love what we do. Since we opened our doors in 2007, bringing fresh talent to an ever-expanding industry, we’ve supplied voiceover artists to clients across the world, on commercials, animation, video games… you name it, one of our VOs has done it. Why should you choose us? With over 30 years experience across the commercial and production industry, we’d like to think we know our stuff, and will use that knowledge to make your life easier. We listen to your casting, production and budgetary needs and supply you with the best voice for the job. Babble – top talent, sounding great.